Multi-day ‘Tour & Trek’ excursions explore our more distant regions. Take the hassle out of endless research and be part of a trip with a trek that leads you to what’s best on offer, with accommodation in outstanding places of character and scenic beauty. Check the ‘Dates & Offers’ tab to see if there is a scheduled listing for your excursion choice. If you need to book different dates, please enquire. Upon confirmation and your deposit, we’ll arrange your accommodation preferences and advertise those dates for others to book into. Alternatively, you can decide to make this a private tour when different rates apply. Cost: £635 per person for 4 days, including excellent B&B accommodation, all transport, qualified mountain guide and a day’s ferry trip. Excludes food (other than breakfasts) & drinks. Based in the highly scenic area near Mallaig in the central part of Scotland’s rugged west coast, this ‘Tour & Trek’ includes a voyage to some of the Small Isles with a landfall and walk; a beautiful castle away from the crowds, coastal and hill walks along these spectacular shores. Cost £235 per person for 2 days - includes 1 night B&B in high end accommodation in a rural villa, all transport and qualified mountain guide. Excludes meals (other than breakfast) and drinks. These two overnight tours each have in common: walks in quiet, unspoilt hill scenery of clear rivers and mixed woodlands, staying in a rural B&B of excellent standard. This is a good sample of the Highlands with its culture of castles, distilleries and very fine, gentle hill scenery. Journeying to the beautiful and unspoilt Argyll coast, the epicentre of the origins of Scotland in Dalriada, we’ll follow in the footsteps of St Columba. This tour traces the saint’s earlier travels, exploring a cave and ruined Celtic chapels standing in isolated splendour set amidst the ancient Neolithic world of stone circles. The tour continues with a visit to the spectacular islands of Mull & Iona and on the long trip, will lead up the Great Glen to a hill fort and Pictish stones. including accommodation, most evening meals, all ferries, guide; excludes other meals & drinks. The voyage to the Small Isles is an experience of truly getting away from it all. The scenery and sense of space is truly exceptional with the mountainous Isle of Rum forming a magnificent backdrop. This compact region has a contrasting scenery from wild mountains to gentle green pastures, all superbly set off by the moody Atlantic. Donan chose Eigg to establish an early Christian community which paid the ultimate sacrifice when he and 52 monks were martyred. Cost: £675 includes accommodation, breakfasts, ferry costs; excludes other meals and drinks. Journey to Skye, taking in the scenic history en route visiting castles and ancient brochs. Our walks take in some of the best dramatic mountain scenery along lesser challenging trails. Our road journey circumnavigates most of the island ensuring we see charming ports and rugged coastlines against a backdrop of misty hills and moody seas. The return route via the mainland’s west coast, ensures seeing a good extent of this part of the Highlands. includes accommodation, all transport, boat trips, excludes meals and drinks. Encounter the dramatic ad wild mountain terrain with an abundance of lochs, waterfalls, and fine beaches. Describing this area will make you run short of superlatives! This tour is carefully put together to ensure a good cross section of walks that will take us into stunning places in this wilderness and to the very far north coast. We’ll see the Cairngorm Mountains and some stunning Pictish stones embossed with mysterious symbols of great artistry. Cost: £1,131 pp includes all B&B accommodation, transport, ferry costs and guide. Excludes meals (other than breakfasts) and drinks. If you like expansive horizons and isolated shorelines of white sands backed by wild hills, then this is the tour for you. This itinerary takes in the full length of the Outer Hebrides, travelling with walks from Barra to Lewis. Encounters with the gently spoken Gaelic locals makes you aware that you’ve arrived in a different culture. These remote islands have an other-worldly feel with their absence of trees and huge skyscapes. The tour connects with many fine white sand beaches and atmospheric Neolithic and early Celtic ruins. Encounter the most dramatic mountains in all Scotland. 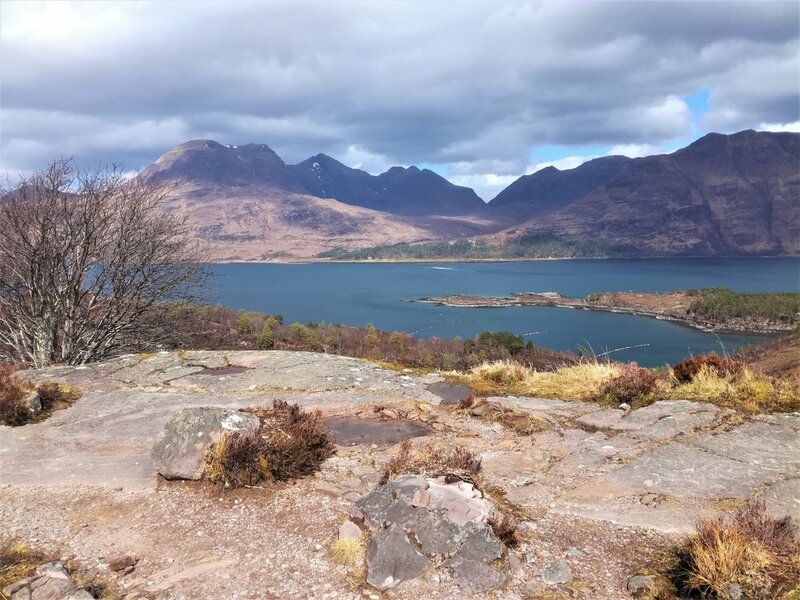 Based for 4 nights in the Torridon region in an excellent coastal B&B will slacken the pace. Daily trips and treks will take us to sandy bays, through ancient Caledonian pine forests, alongside lochs; on a coast riven with fjords and protruding with bold peninsulas. This truly offers the very best of what Scotland has to offer. One day on Skye will take in the best of the sites together with some short hikes. This beautifully located B&B offers spectacular views and ensures a place of peace and restoration. Cost: £685 pp includes all transport & ferries from/to Edinburgh, B&B accommodation, with guided hikes and admission to all the major places of interest. Excludes food and drinks other than breakfast. A memorable trip up the length of Scotland and across the turbulent waters of the Pentland Firth to the mysterious world of the Orkney Isles. The place is teeming with pre-historic sites which we’ll help you to discover and help to make some sense of the Neolithic world of stone circles, burial cairns and brochs. Enjoy short hikes to see impressive sea cliffs, giant stacks, sea arches and marvel at the abundant bird life where the meeting of seas forms an inspirational backdrop. Cost: £650 pp, includes accommodation, transport from Edinburgh return and on daily outings, and a fully qualified mountain guide. Excludes food and drinks. 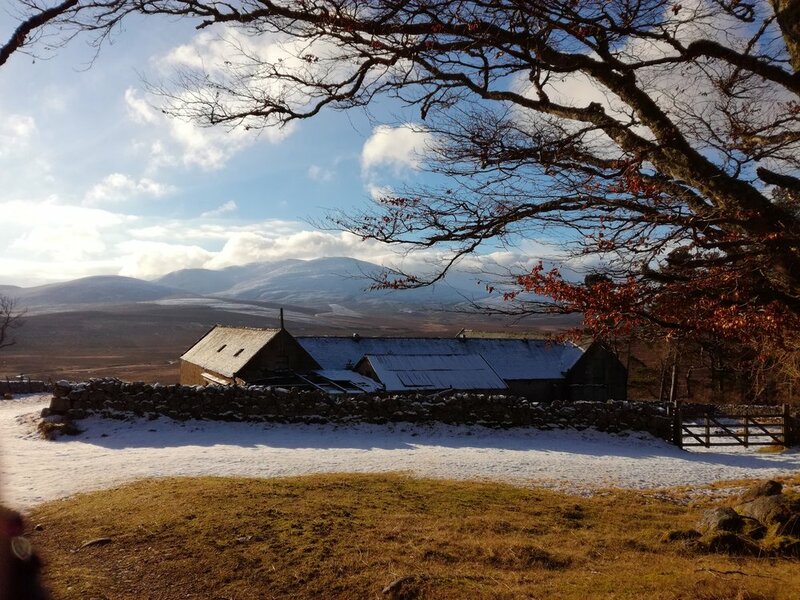 Based in Royal Deeside, away from the major tourist trails, we’ll hike each day out from a comfy hostel base, driving to new areas to access a whole variety of great walks up wooded glens and to summits for fantastic views. This is a highly recommended destination, largely free from midges and I’d love to show you some absolutely great walks for varying abilities, to enjoy unspoilt mountainous scenery and not to break any records. Cost: £450 includes all transport from Glasgow return, B&B accommodation, a ferry trip and guided hikes. Excludes food and drinks other than breakfast. Argyll is a beautiful, unspoilt region, bypassed by the majority of tourists as it is tucked out of the way, not en route to most popular hotspots. Therefore it is worthy to visit to enjoy the tranquility and the wildness of the place, characterised by rugged hills, long sea lochs and inland waters, a fine coastline. It’s absolutely oozing with history from a vast number of Neolithic sites to the fortress at Dunadd, the forerunner of the Scotland as a single nation. Also we have a gem of a B&B to take you to on a private estate!